A relationship is only as good as the two people in it. This may seem obvious but relationships, be they platonic, romantic, corporate or toxic, are founded on the values of the individuals in question. No two people are the same but their values have to be purposefully aligned in order to create a healthy or unhealthy partnership. Relationships are long, winding roads with hairpin bends and hidden hazards. It’s negotiating these pitfalls that either makes or breaks a relationship. Some relationships are destined to flounder – that is a natural law. Relationships that are wholesome and uplifting are destined to succeed – that is divine law. Other relationships are in-between - good and bad, love and hate, pleasure and pain will prevail but it will feel like a roller coaster ride – exhilarating and fearful! Relationships bring out the best and the worst in us. Forgiveness and compassion are two important ingredients in a loving relationship. Insecurity and ignorance are major contributors in a toxic relationship. Destructive relationships are very hard to let go of. Sometimes we get a thrill from that burst of anger as we unleash a bitter tirade on the other person. We feel self-righteous in our indignation. It feels good to release pent-up feelings but we have to do it in a healthy way so as not to wound the other person. Relationships are delicate, like bone china, and must be handled with care. Feelings are fragile and self esteem shaky. Our egos are self-protecting mechanisms but once activated can go out of control – if we let it. 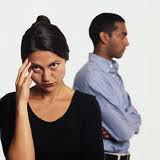 The man/woman relationship is fraught with difficulties as the ego disguises arrogance as confidence, lust as love and selfishness as independence. People choose their relationship paths and, according to your character, you will either choose wisely or poorly. They are training grounds; though neither party is quite sure what its aim is until the relationship ceases. Then you can look back with either anger or understanding. The low road of relationships is where two people find kinship with their egotistic tendencies. At first, they are greatly attracted to each other's strength and assertiveness. If they are well matched then they will give each other a run for their money. Soon, however, one tries to dominate the other and they lock horns on a number of issues. The relationship then stagnates as what once what was a turn-on becomes a great turn-off. They live with each other but on sufferance. The heart never lies and will eventually out all the weaknesses of the partnership. 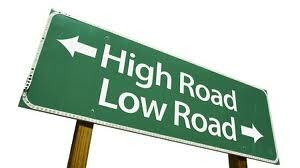 The high road is an infinitely better place to be. 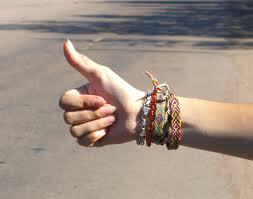 This relationship is a forum for spiritual progression where there is a satisfactory amount of give and take. The two people within it know that there is something pure and selfless in their hearts that they wish to share. Whenever one stumbles on this road the other will catch them. This is a where the load (that’s a burden on the low road) feels lighter. Should this relationship break there are no hard feelings since the two know that important lessosn have been learned. 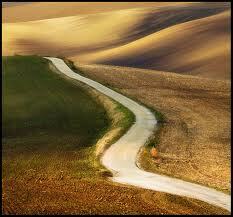 The road less travelled is the spiritual path. This is a road where relationship is transformed into something sublime and does not have to contain two entities. This is the dialogue and commitment you have with your soul. It is an awe-inspiring and peaceful gateway to your highest aspirations. Many times in our life we sense we are on this road and we glimpse heaven. However, we come crashing down to the high / low road as soon as we succumb to our human weaknesses. The highest road is within our reach and with mindful, spiritual navigation, the road less travelled will have a few more tyre marks.